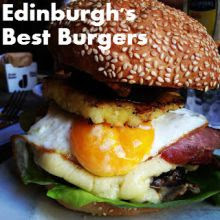 I've had a wee bit of a break in my best burger quest but I'm back on track and going to spend my summer chomping on Edinburgh's finest burgers. Bells Diner in Stockbridge was recommended to me by someone on Twitter a while ago but I've only just recently managed a visit. It's a very small diner with a charmingly bohemian feel to it; more shabby chic than greasy spoon - think rickety wooden tables, dark red painted walls and leafy plants. It was well worth the wait though - Bells specialise in burgers and steaks and this is pretty much all they sell. The burgers are available in 4 oz, 6 oz or 8 oz sizes and are priced accordingly at around £8.50, £9.50 or £10.50, depending on your choices. The options are fairly simple - cheese, bacon and egg can be added, and a choice of flavoured butters can be melted on top: garlic, mustard, pepper or roquefort. We'd heard that the portions were big and were not disappointed. The burger was really big and served in an open white sesame bun with fresh salad on one side, and the plate piled high with a mountain of chips on the other side. The cheese was pleasingly melty and the flavoured butter added at the last minute so as not to run everywhere before it gets eaten. The burger was cooked well done but was still juicy and tasted great - the garlic butter really enhanced the seasoned flavour. The generous fillings ensured the burger was stacked high and had to be smooshed down to bite into it - there's no sophisticated way this burger can be eaten and it's just easier to get stuck in and admit that you're going to make a bit of a mess. It's the best way a burger can be eaten! A plate of condiments was offered to us from our lovely waitress which included tomato chilli salsa, onion chutney and barbeque sauce We came to find that this plate gets passed from table to table (the OCD part of me was secretly pleased we were the first served and got to use the sauces before any other diners). After tucking into that feast we were offered the dessert menu. Surely we couldn't eat anymore? Well, for the sake of blog research sometimes I just have to make these kinds of sacrifices (ie, my waistline). 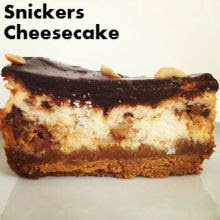 The desserts are mostly different kinds of filled pancakes and ice cream sundaes, with some cakes and milkshakes also available. I chose a Hot Fudge Sundae pancake (£5.50), combining the best of both worlds. The pancake was more thin like a crepe and very generously coated with caramel fudge sauce. 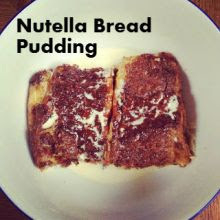 The inside has three scoops of vanilla ice cream and, accompanied by a squirty cream flourish, this is another huge portion that can easily be shared between two. It was a delicious end to the meal and was a great diner dessert but not something I'd exactly rush out to recommend to everyone. It's a well established place that's been around for over thirty years. It's enduringly popular and, as it's such a small space and has limited opening hours, you may want to book on weekends if you're keen on a burger fix. And you'll definitely get it at Bells Diner - highly recommended. Facebook Autoliker hatenablog.com as well as they use lots of times various other web sites and applications. Official Website Here Tutorial of How To use Facebook Autoliker App Sexyliker How to install & Download FB Liker on PC, Android Free Powered by Your fans should be FB Liker established on public or fans remark FB Liker App likewise public. We specifically gauged smore.com/ each chair on convenience of usage, simplicity of cleaning, Title top quality, convenience of set-up, and also it's impact Best Baby High Chairs Reviews and also mobility in this classification. 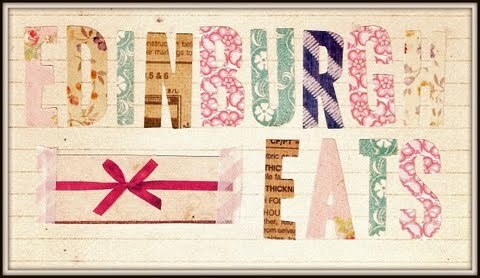 Girl in Edinburgh; likes baking, eating and reading about food.